Attaching bait is a simple but critical step during the rigging, or rod setup, process. Answers to questions such as “How do you bait your rod?” are provided in the sections below. New anglers decide which approach to take depending on the kind of bait being used, whether it is natural or artificial and other factors, such as what type of fish is involved. To learn more about how to attach bait successfully, review the following information. How do I attach bait to my fishing pole? There are several different ways to attach fishing bait to a rod, based on what kind of natural or artificial bait an angler is using. The process of attaching bait is completed with the use of a hook connected to the end of a line. Bait a fishing hook with live bait by puncturing it with the sharp, pointed end. This way, the food will entice the fish to eat it and will easily hook itself. With other methods of baiting a fishing hook, such as using dough balls, the hook is simply hidden within the bait itself. “How do you bait your rod with household foods?” is a question asked by beginner anglers or those simply looking to use the most inexpensive bait. When learning how to attach bait using items such as canned corn or hot dogs, treble hooks are recommended. How do I attach live bait to my rod and keep it alive? While learning how to attach bait, good fishermen keep in mind that dead bait is never as effective as live bait. Baiting a fishing hook with a cricket, for example, is done by inserting the hook through the back of the cricket’s head. Fishermen handle attaching bait fish, such as minnows, by hooking under the dorsal fin or through the lips. Skilled anglers always make sure to avoid hooking through the backbone, as this kills the fish and reduces the chances of it getting eaten. When choosing to bait a fishing hook with shrimp, anglers hook under the rostrum horn to keep the shrimp alive longer. Attaching live crab bait is easier, since hooking through any part of a crab’s body turns it into an irresistible food for many types of fish. Attaching squid bait to rod outfits is done using the same techniques as hooking an earthworm, due to their long appendages. Ultimately, the answer to “How do you bait your rod with live bait and keep it alive?” is by avoiding the bait’s vital components, such as the brain and spine, during hooking. How do I bait a fishing hook so that the fish cannot escape? Knowing how to attach bait so that the fish cannot eat it without being hooked is a skill that separates novices from experienced anglers. The best starting point is using earthworms, the classic live bait. After deciding to bait a fishing hook with a worm, the angler then considers what kind of fish will be interacting with the bait.If he or she is looking to catch a smaller species of fish, the angler threads the fishing hook through the worm’s entire body. When attaching fishing bait to a rod, it is important to not leave large sections of the worm dangling after the bait attaching process. This is because fish will eat the exposed part and swim away without touching the hook. This is what fishermen commonly call “bait stealing.” So,how do you bait your rod to avoid bait stealing? The perfect way to do so is by hooking the worm in an “S” pattern so that it is difficult for the fish to eat the worm without being hooked in one way or another. 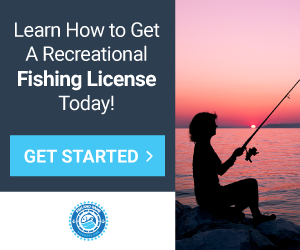 How do I bait my fishing pole with an artificial lure? The spinning action of the lure can be detrimental, so the proper attachment of bait helps to eliminate any problems associated with it. Learning how to attach lures, such as soft plastics, is a different scenario. Soft plastics do not have an attached hook, so the angler must thread the pointed end of the hook through the material just as he or she does with live bait.